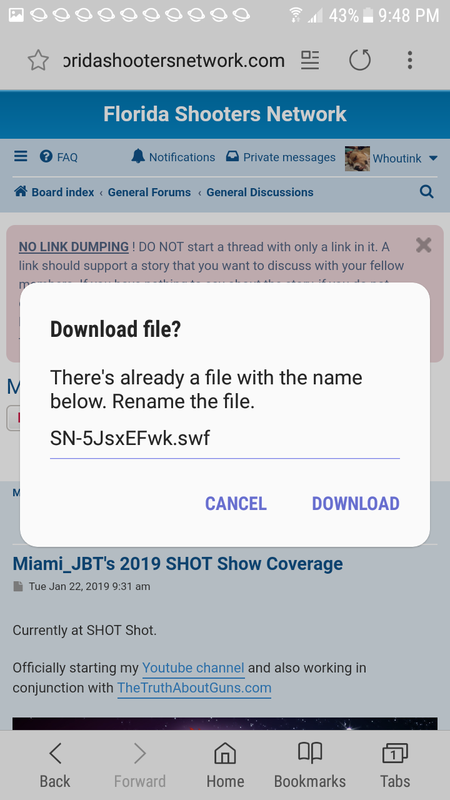 Lately over the past month or so (not really sure when it started) I've been getting a pop up on my phone that asks if I'd like to download a file. Sometimes there is no popup my phone just automatically starts downloading, I notice at the top in my notification area the little planet icon, that looks like Saturn or something. You can see in the 3rd screenshot 10 of those icons, but there ater many more then that. I have no idea why or what they are, I have just been deleting them, and not opening for fear of some type of virus. Anyone else experiencing this or something similar? Does anyone have any idea why or what this is? /\There are a couple more pics in the gallery above. 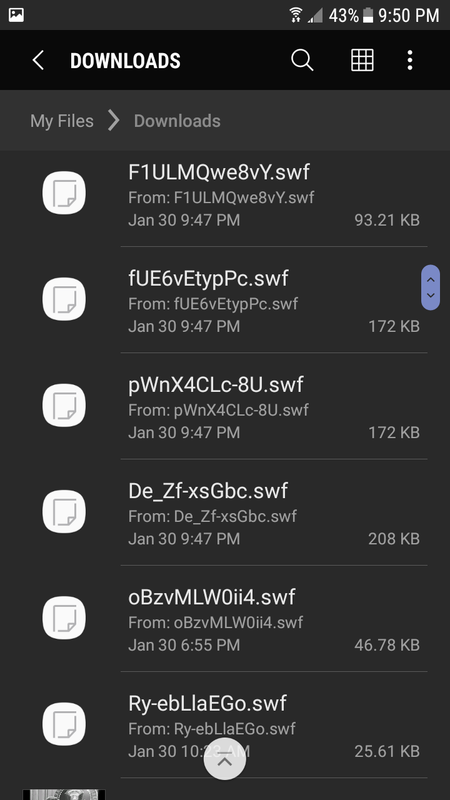 The SWF extension is a FLASH type file. As far as I know the site does not use this format. Are you sure that it is coming from FSN ? 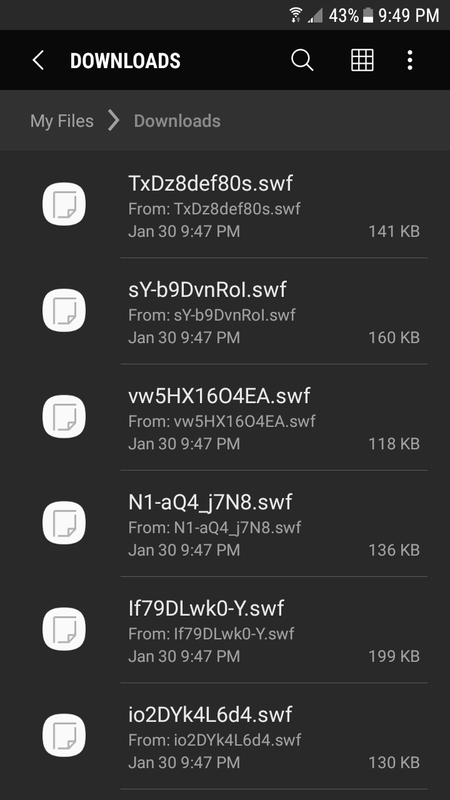 Your phone isn't set to read SWF and it is trying to access one. As it cannot play it, it want to save it. This is the reason for the download. Now, I cannot help you with what app does that. An ad, a page, a video, something that your phone tries to access. if you are concerned about an infection, the best way to check your phone is with a computer running a good a/v soft like avira. the thing i notice that is odd, is the randomness of the file names, which would cause me to be suspicious either way. im pretty sure you can get android version of malwarebytes anti malware as well.